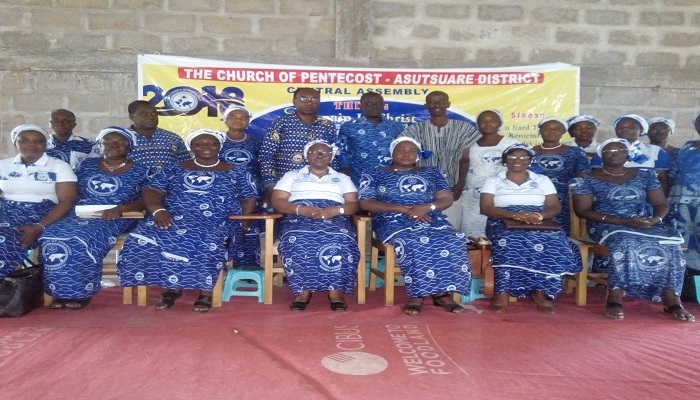 The Director of the Women’s Ministry of The Church of Pentecost, Mrs. Grace Lucy Yeboah–Asuama, has paid a 3-day working visit to the Agormanya Area in the Eastern Region. 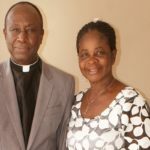 She was accompanied by her Deputy, Mrs. Margaret Osei, and a member of the National Executive Committee of the Ministry, Mrs. Mabel Darko, who is also the wife of the Finance and Administration Director (FAD) of the Church, Pastor Nicholas Darko. The tour, which took place from 21st to 24th October, 2018, took them to the various zones in the Area. Speaking at a service to climax the visit at the Asutsuare Central Assembly on the topic, “Life at Shiloh” with reference to Psalm 78:60-61 and 1 Samuel 1:3, Mrs. Mabel Darko asked believers to cherish and value their current status in Christ by remaining in Him and His basic message. Narrating the historical background of Shiloh in the Scripture, Mrs. Darko noted that Shiloh was an assembly place for the people of Israel, where the Ark of God, which symbolises the Lord’s presence, was kept. She said due to the presence of God at the tabernacle in Shiloh, many who visited there (Shiloh) for worship and to offer sacrifices to God experienced breakthrough, deliverance and had answers to their prayers. She disclosed that it got to a time that the Lord deserted Shiloh (His glory departed from Shiloh), because the people were disobedient to His word, engaged in idol worship and practiced many social vices which invoked the anger of God. 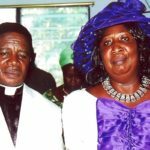 Citing Eli and his sons as an example, she cautioned Christians to be mindful of their relationship with God by not engaging in any practice which will attract the wrath of God. 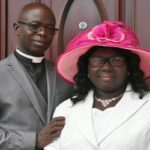 She admonished all and sundry not to boast about their church and current status, but rather remain focused by being obedient to the word of God and making conscious effort to remain in the teachings of Christ so as to continue to enjoy His blessings. On her part, the Women’s Director, Mrs. Grace Lucy Yeboah–Asuama, narrated how the Lord has been so good to her. She admonished the members to cultivate the habit of giving to support the Kingdom business, pay regular visit to the mission house, take good care of their pastors and remember them in their prayers, show respect to church leaders, practice holy living, take part in all church activities, as well as relying fully on God in all circumstances. “Pastors are gifts and blessings sent from God to members for a particular purpose,” the Director stressed. The Deputy Director, Mrs. Margaret Osei, led the gathering in an intensive prayer after the ministrations. The Agormanya Area Women’s Ministry Leader, Mrs. Cynthia Asare, thanked the Women’s Director and her team for the historic visit.